Sheldon Commercial Interiors is an independent, professional and highly respected company with 30 years of experience in commercial Design and Fitout Construction. Committed to the highest standards, we create innovative and inspiring corporate workplaces for our clients, by combining the expertise of our in-house divisions of design, project management, construction, technology and manufacturing. Located in vibrant North Sydney, Sheldon enjoy a positive company culture and promote a healthy work life. 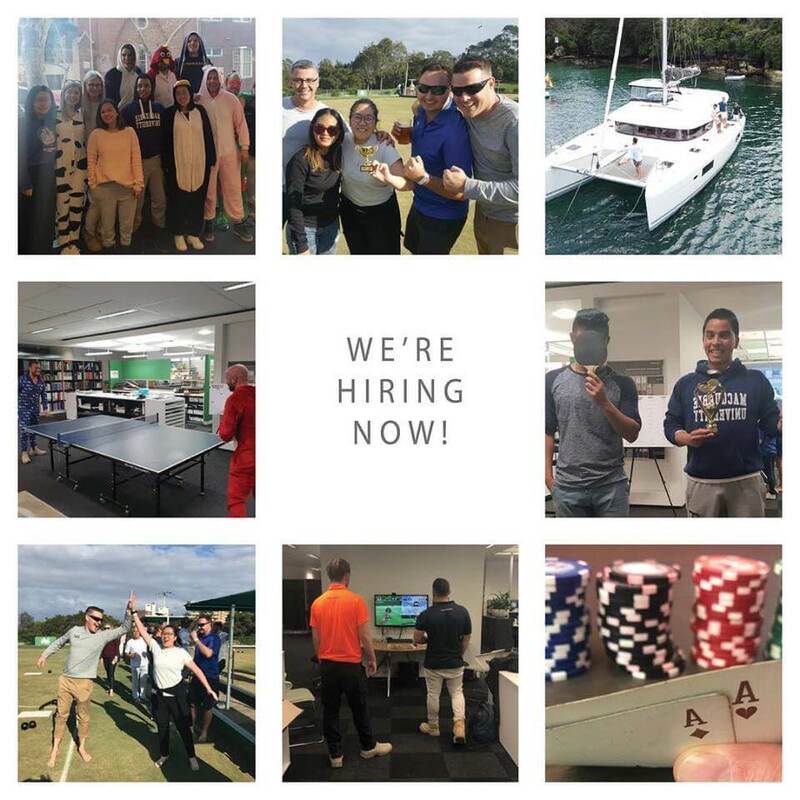 Check out the roles we’re currently hiring for below! We have some exciting opportunities to join our team below. If your dream career isn’t listed, but you know we offer it – please send a resume through anyway, we’d love to hear from you. We’re looking for a Senior Site Manager to join our growing team. You will have a minimum of 5 years experience in Design and Construct Office Fitout, and will be responsible for overseeing operations of Project Sites on a day-to-day basis and ensuring that a project comes in on time and in budget. WHS compliance on all sites requires knowledge and proven experience in Work Health and Safety. We’re looking for someone who is a great communicator, has initiative and drive, a thinker and problem solver who can work effectively under pressure. Being a team player is a must! Communicating safety performance to Project Manager and Head Office. We’re looking for a driven, team player to join our Project Management team. The Project Manager will plan, budget and complete projects according to project scope, within budget & to safety and quality requirements. You will have 2-5 years experience in a similar role and understand the importance of managing stakeholders for the duration of a project, acquiring resources and coordinating the efforts of project team members and third-party contractors or consultants in order to deliver projects according to plan. Personal drive, initiative and resourcefulness, alongside excellent communications skills, are qualities we look for in the role. We’re looking fr someone who has management and leadership ability, and is able to problem solve and stick to timelines. Are you driven, creative and passionate about great design in corporate workplace interiors? We’re looking for a Senior Interior Designer to join our team, so if this sounds like you – read on! We’re about creating innovative, inspiring workplaces that people love to come to work in each day! We combine our expertise across our inhouse teams including design, project management, construction, technology and manufacturing, to make the office fitout experience a seamless one. Advanced CAD skills. Vectorworks experience is an advantage however not essential.